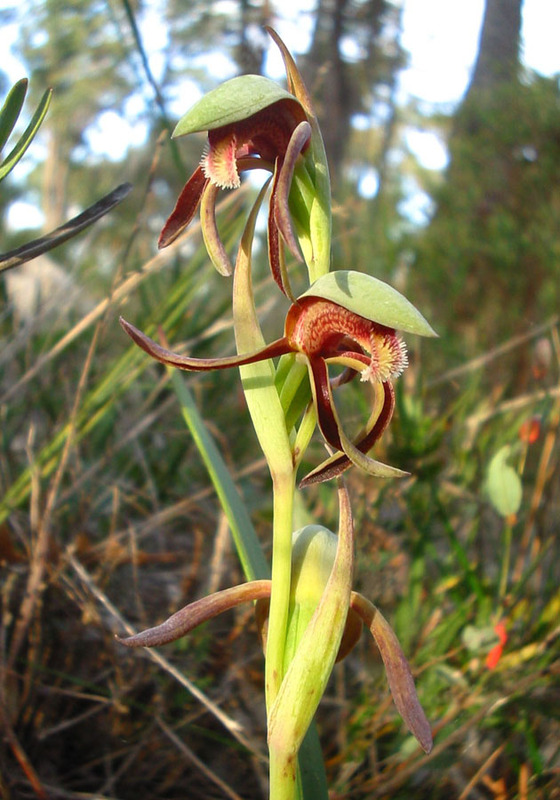 A genus of two species with one found in Western Australia. 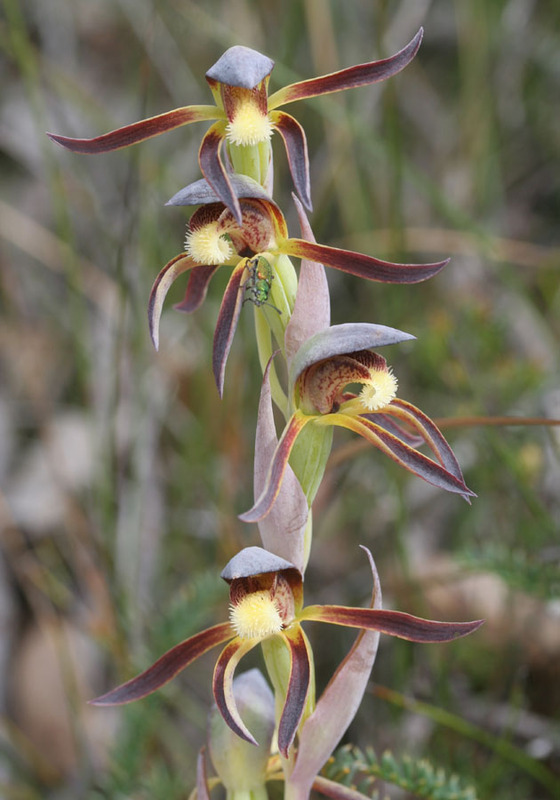 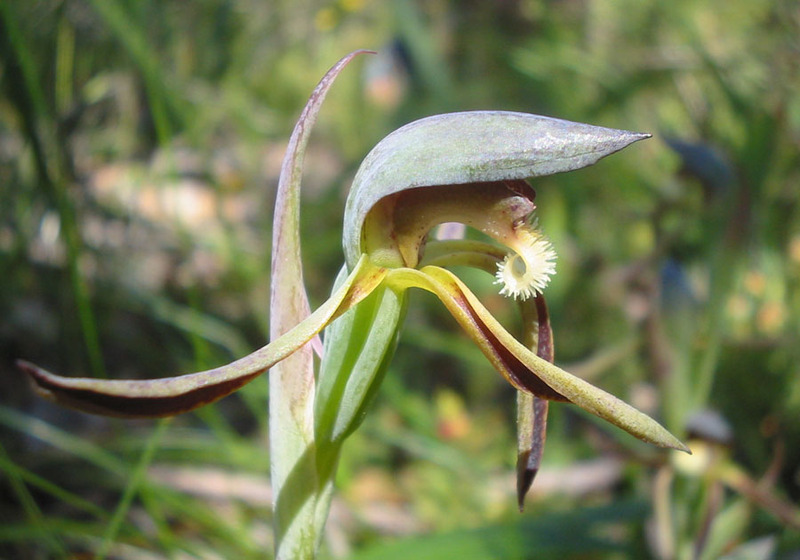 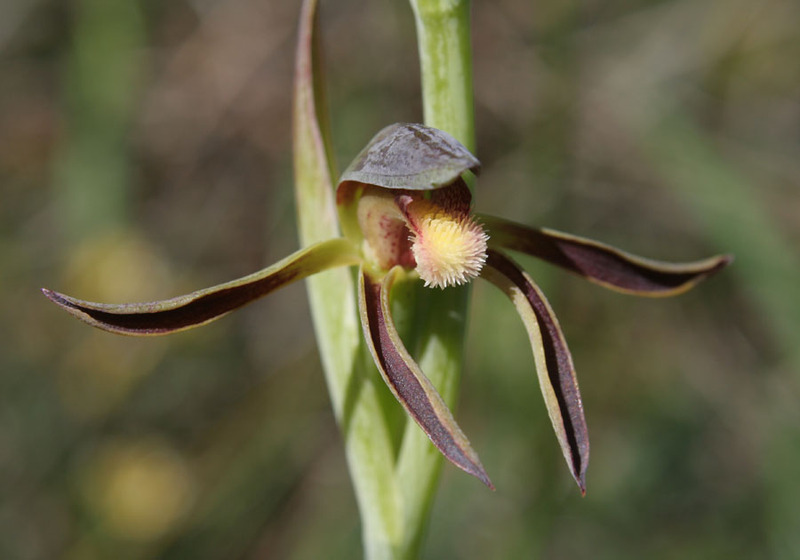 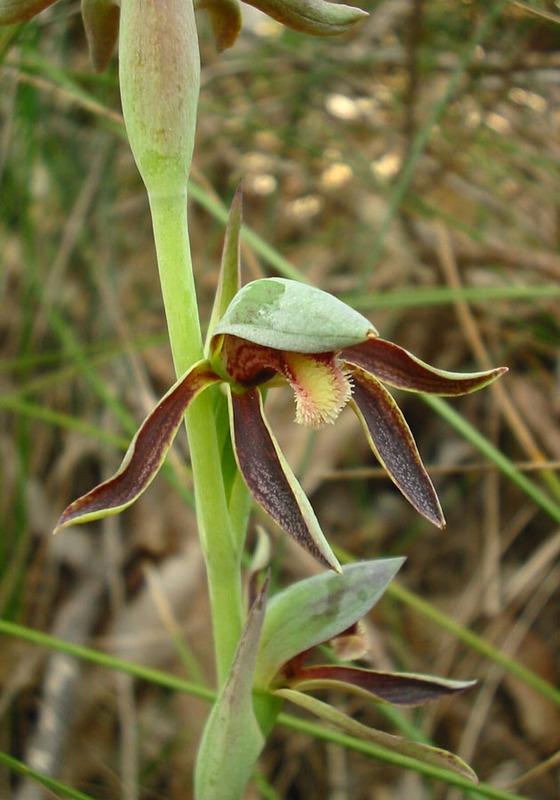 This orchid is plainly coloured and can be hard to see against the bush in which they are found. 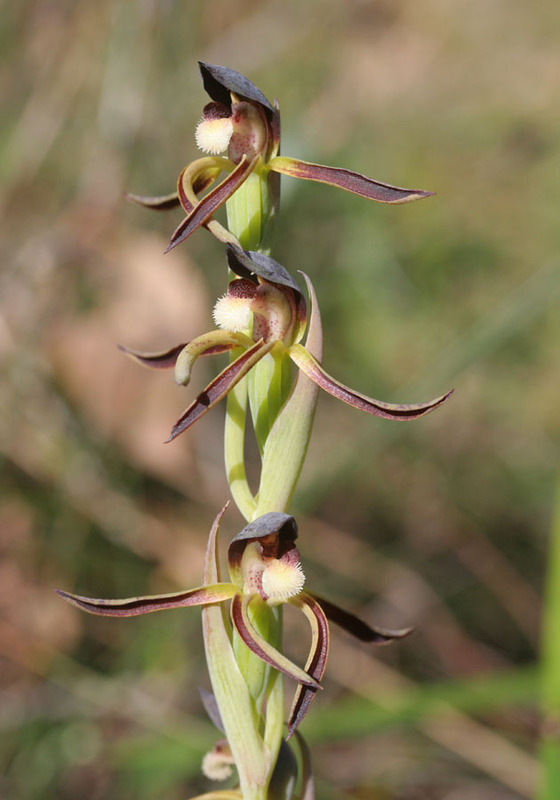 The flowers rattle when shaken, hence the common name.